Large parts of the financial industry spend lots of time, effort, and money to develop plans and programs all under the guise of offering investment advice. Much of the investment “witchcraft” comes with a slew of hidden fees and expenses. That fact and those figures more often than not are conveniently avoided. Welcome to Sense on Cents!! Why am I so enthused about the potential for this site? I could write at length in answering that question, but in short I firmly believe the “product” delivered here is in very strong demand and very short supply. Collectively as we navigate the economic landscape we will learn, share, and become more comfortable with the economy, the markets, and global finance. While the economy dominates our news currently, where can one go to make sense of it? Welcome to Sense on Cents! 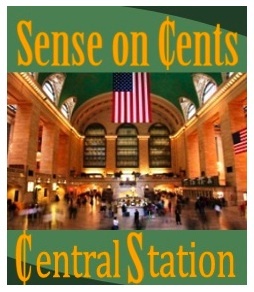 Sense on Cents is truly a reflection of my professional instincts and personal interests. I sincerely believe this site can elevate the level of financial literacy, economic knowledge, and market insights for those who come here. Additionally, I am pleased to provide a wealth of information on career planning, global perspectives, financial primers, and meaningful literature. The sharing of opinions and active dialogue are strongly encouraged. I hope you feel comfortable coming here, find it to be of great value, will offer your perspectives, and will spread the word! While making “sense on cents,” I feel strongly we will find the relationships and returns to be very rewarding, especially relative to the risks! I thank Larry Johnson for his tremendous support from my very first day at No Quarter and look forward to a continuing, close working relationship with him, Susan, and all involved at NQ. I sincerely hope and believe our efforts can and will promote our mutual interests.